A 10 minute online CtB assessment of your employees current knowledge of privacy and security requirements and how they impact your business. This assessment can be undertaken at any time and gives a clear indication of any internal breach exposures within your business. This is a standard assessment applicable to all employees with access to personal data within your company or can be tailored specifically to your business to obtain a very personal view of your team and your business. The 1 hour training course can be conducted face to face or virtually via webinar. The purpose of this training is to bring all employees with access to personal data within your company up to the required level for personal compliance with GDPR. This covers the do’s and don’t’s, personal culpability and its implications, all the implications of a data breach and the business benefits of GDPR compliance. The 1/2 day training course is a face to face interactive classroom activity aimed at training your own GDPR experts and champions. The purpose of this training is to develop GDPR leaders within your company to champion the benefits of Privacy and Security whilst mitigating the exposure of any data breaches. As 100% compliance to the regulation and the total prevention of any data breaches is impossible, the half day training course focuses not only on the implications of the regulation but also creating a defensible position should a data breach occur. The training offers a detailed dive into the do’s and don’t’s, personal culpability and its implications, executive level implications, the rules and regulatory reporting implications of the regulations, the implications of a data breach including all potential exposures and the business benefits of GDPR compliance. 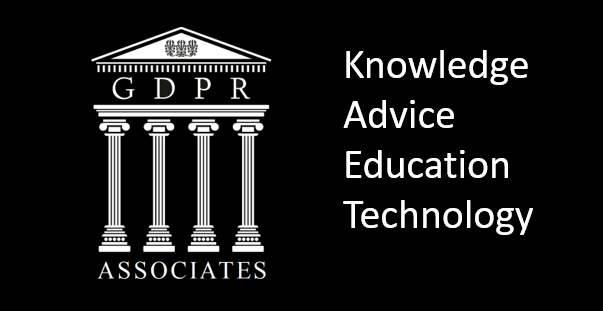 The GDPR Associates offer formal certification to all individuals undertaking the 1 hour or ½ day training and proactively keep all participants informed of changes and newly emerging implications and benefits of GDPR compliance. In addition to GDPR certification the GDPR Associates can also offer professional GDPR Privacy and Security Accreditation via 3rd party professional examination bodies. This is critically important for anyone seeking a long term career in the privacy and security market. Contact us for all training enquiries.